Registered nurses perform a wide variety of duties that include treating patients, performing diagnostic tests, analyzing results, establishing care plans, and operating medical equipment. Employers in the state of Texas therefore require RNs to hold a hospital diploma, associate’s degree in nursing (ADN), bachelor of science in nursing (BSN), or master of science in nursing (MSN). Many employers prefer a BSN or MSN degree, particularly for senior nursing roles. Licensed vocational nurses measure and record vital signs, dress wounds, prepare and give injections, collect samples for testing, and clean and monitor medical equipment. Aspiring LVNs must complete a state-approved certificate or associate’s degree program before practicing. Nursing assistants provide hands-on care and perform routine tasks such as bathing and feeding their patients. Aspiring CNAs must complete a brief accredited certificate program. After completing their prescribed course of study, nursing graduates are prepared to seek positions at top El Paso hospitals and medical centers. 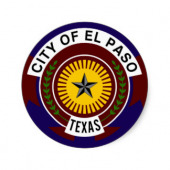 These include El Paso Children’s Hospital, University Medical Center El Paso, Providence Memorial, and Las Palmas Medical Center. Local nursing salaries are very respectable. For example, El Paso’s 5,000 RNs earn $64,000 per year on average. The city’s 1,600 LVNs receive $42,000 in annual compensation, and its 2,300 CNAs earn almost $22,000 per year. To further inform El Paso’s aspiring nurses, we’ve organized below a list of accredited nursing schools and programs throughout the metropolitan area.